What are the rules for creating art at this cultural and historical moment? What is the relationship between art and artist now? What work can painting do in the world? These are the questions that Ethan James Kaplan’s play Imitatio brings to light. As artist Hank Spinoza tells his painting students, “. . . to limit yourself, deliberately or not, that is where true art begins.” Indeed, creating and living within limits becomes a hard-earned and difficult lesson for all of the characters here. 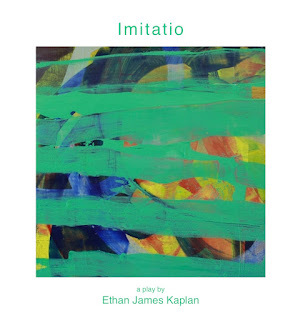 Imitatio is at once a tour de force, a statement on the relationship between the art world, commerce and capitalism, and a deeply moving meditation on the power of love. 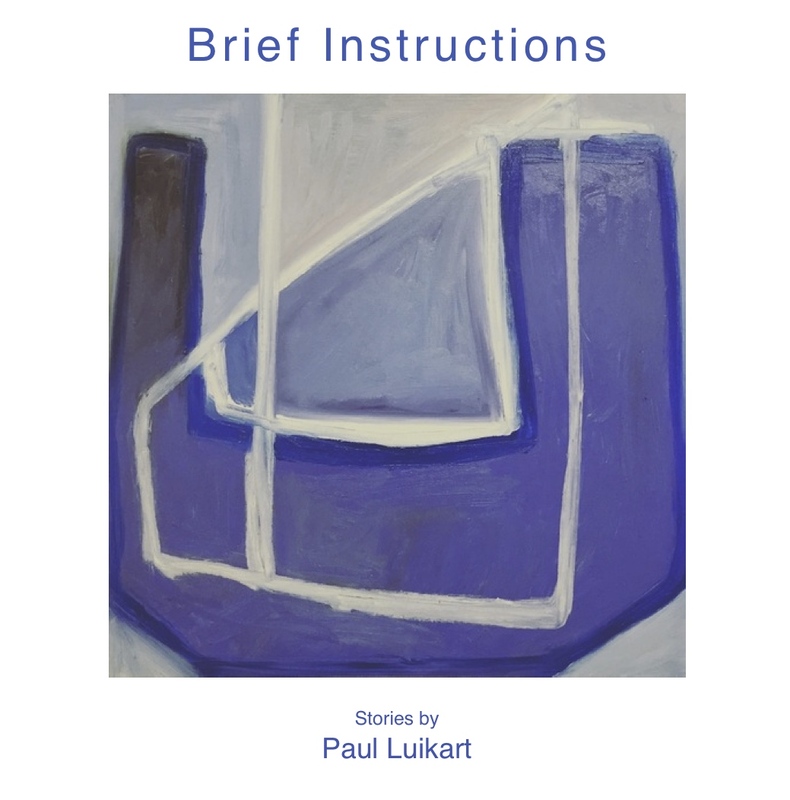 The characters in Brief Instructions greet us with voices like the ashes in the titular story—sure and solid, yet scattered geographically. Chicago with a touch of the Old West, the mountainous South, everywhere people have had to apply a rough veneer over their kindness to survive. Luikart's vignettes sketch what could be the aftermath of an Annie Proulx story, when a lone survivor or two realizes that time hasn't stopped with the shoot-out, the deal gone bad, and the individual famine in a city of plenty. And what then? Beginning a story in Brief Instructions opens your eyes to dread and hope at once, details building to an uncanny familiarity until you recall all the people you've known whom the world no longer loves. Luikart's voice never falters, and the rhythm of his prose reveals a steady and nuanced care—for those who go on without promise of safety or respect, for people desperate with love for their own lives. 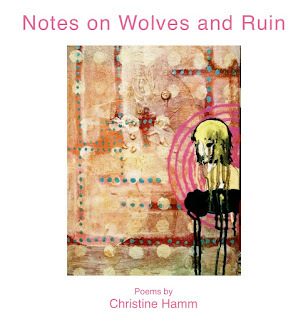 Christine Hamm is an exciting and innovative voice in contemporary poetry. 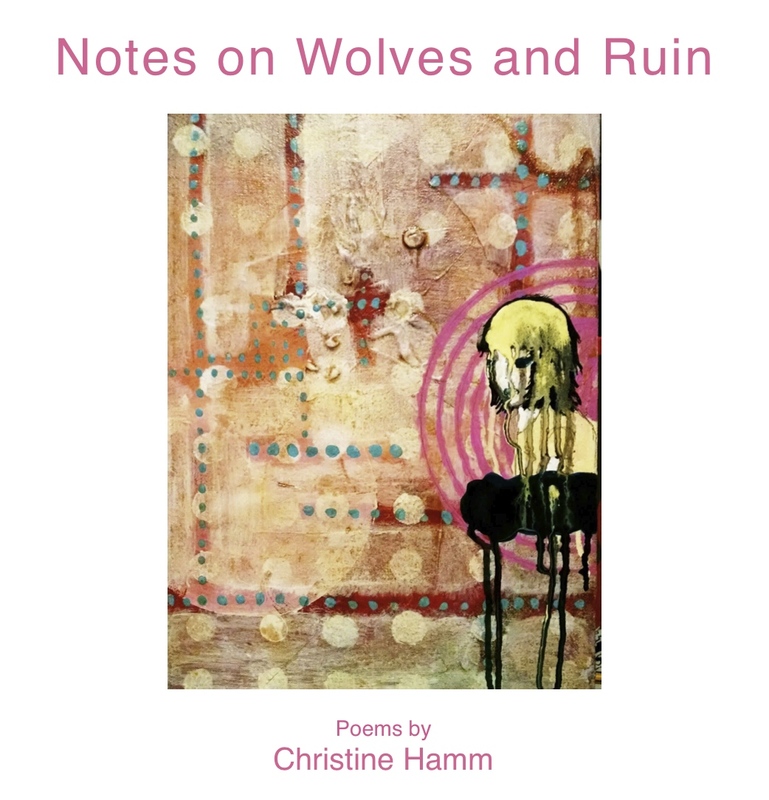 Notes on Wolves and Ruin, her latest collection, challenges the many hierarchies we tend to impose upon types of language: text and paratext, prose and its margins, traceable language vs. what cannot or will not be attributed. By eschewing a main text constrained by its own importance, and embracing the paratextual zone, Hamm opens up the possibility of risk, beauty, and transformation where the reader does not expect to find it. 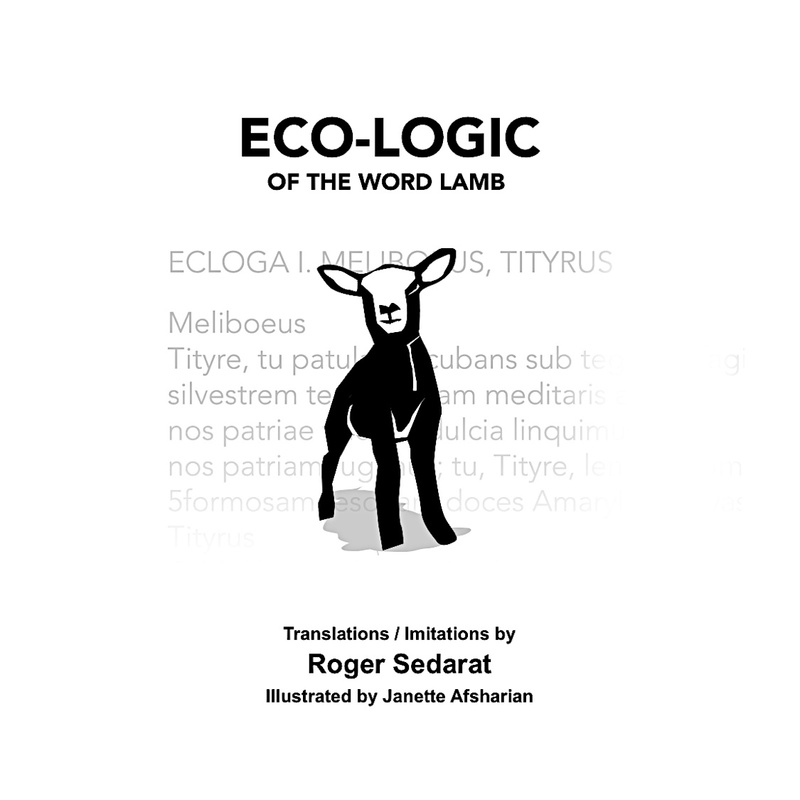 Here the margins are revealed as a space where the implicit politics of language can be questioned, interrogated, and wholly transfigured. Robert Farrell's poems describe a dramatic enveloping— speakers are swallowed and flooded, lungs and voices become occupied terrain, high rises and lighthouses peek in and out of the fog and sunlight. The poet is so protective of the worlds he summons, watching over the pines and awaiting the return of yellow dust each spring, that one feels wholly in love with each turn of phrase as it is deliberately offered as a gift to the reader. The meditations are bookish, but their lack of terminal punctuation keeps them endlessly inviting and aphoristic. 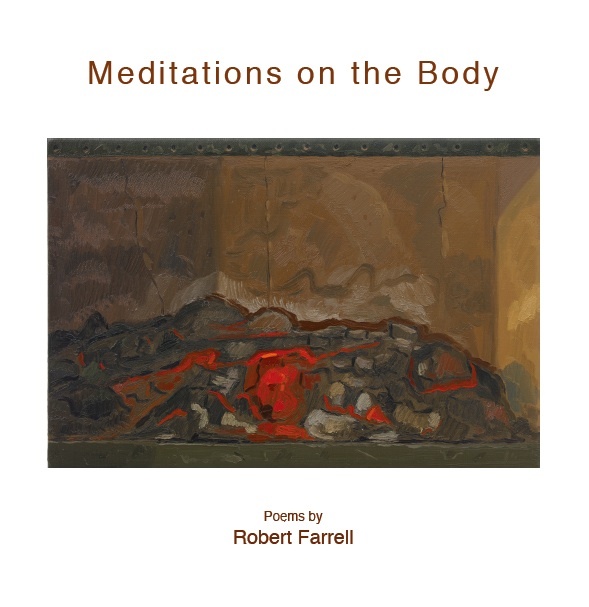 Lastly, Farrell is unsparing in his assessment of how bodies gather— plastic citizens, the communal falling of stakeholders, the armed Bohemians, the assembly of green succulents defying winter— and he offers us scenes of dizzying disharmony that prove to be the stuff of unlikely wonder. A feverish, philosophical collection of poems. 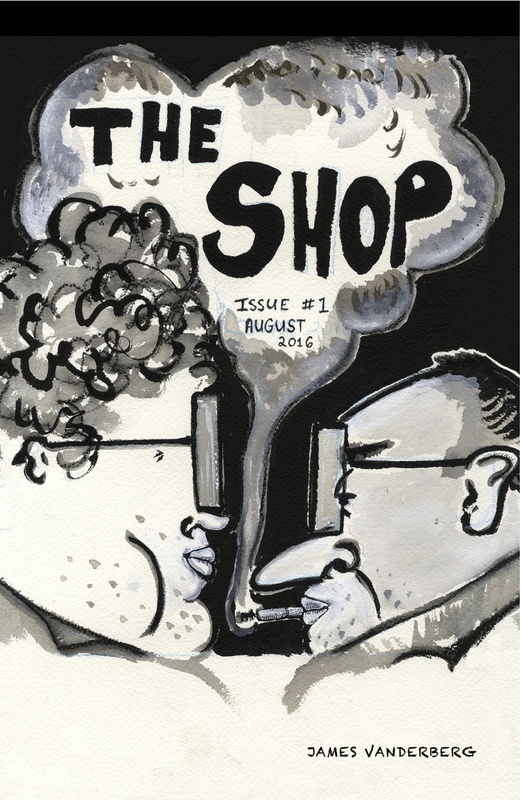 First edition of James Vanderberg's new comic, The Shop! The motor shop has been in business for a long time, but everyday brings impossible tasks, bountiful feasts and the clash of titans. 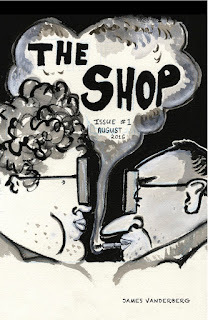 JC calls The Shop, "irreverent...a tour de farce." Paco DePaldo says, "This book is like a frozen chicken, in time it will soften and love you back." 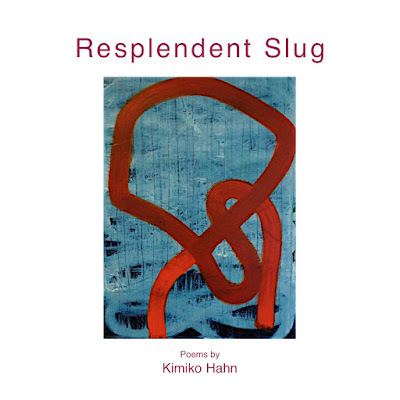 Kimiko Hahn's Resplendent Slug is a collection of poems triggered by the survival strategies of rare and luminous creatures. Sea star, flashlight fish, Japanese firefly squid, mother, daughter, all of these beings ignite moments of vulnerability, seduction and fierce defenses. 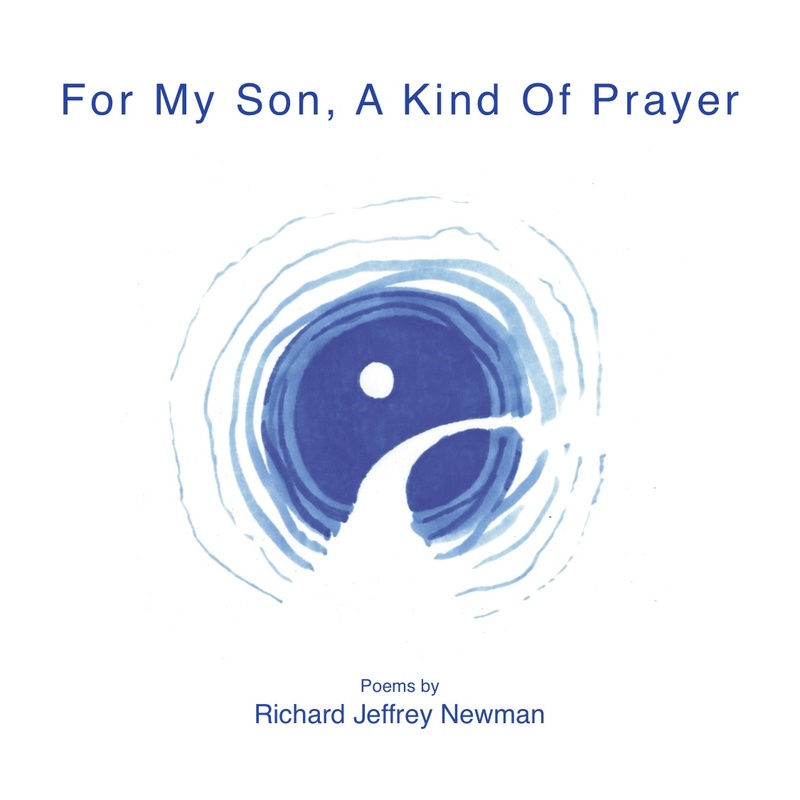 From bearing witness to the fragility of childhood to aching meditations on the complexities of love, Richard Newman’s poems pierce the heart with the accuracy of a master Zen archer. The tender voice of a loving father sings in the same chorus as the poet crying out for the voiceless. This collection invites both an interior journey to self-awareness and a fervent call to stand for justice. This collection is a dazzling attempt to relocate Virgil's texts to the 21st century. 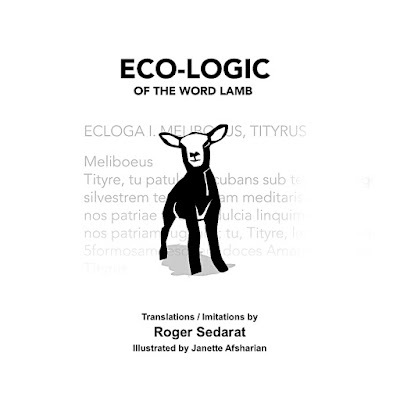 Sedarat's "imitations, translations, and perversions" have never been more fun, mixed with playful appropriations from Pink Floyd, Gertrude Stein, or nursery rhymes, and with the occasional political commentary about "another war another argo/[...] another troy." The reader may be disoriented at times, but certainly delighted and entertained. 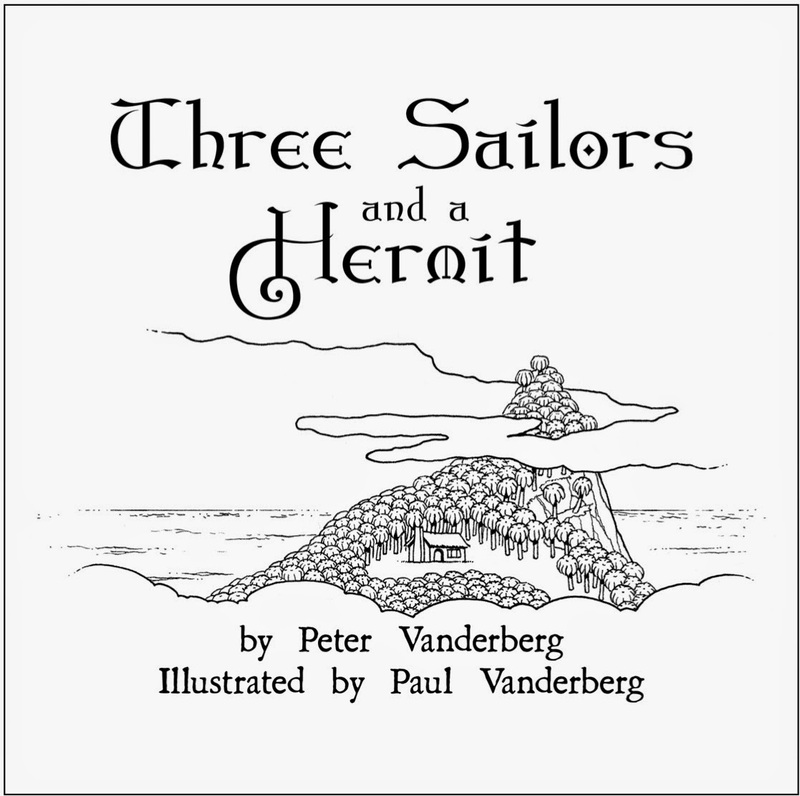 Here is the story of three lost sailors that discover kindness is a gift that must be given before it is received. 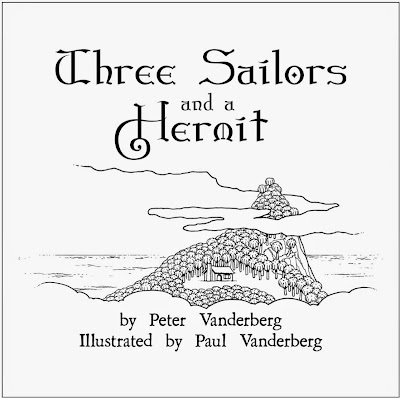 Inspired by the classic Stone Soup, Paul Vanderberg's unique illustrations bring life to this new tale through drawings that are expressive, clear and humorous. Acoustic Trauma is a found object. It's a work of the imagination made from shards and scraps of dialect, religious epic and history yoked together, allowing languages to sidle up side by side, allowing multiple identities to co-exist. 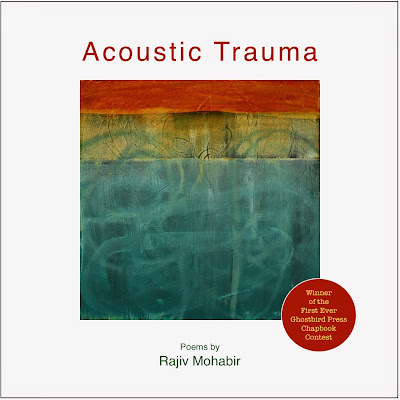 Where there was danger of loss, Rajiv Mohabir has excavated and refashioned the fractured past into newness and wholeness, in an act deeper than translation. It is trans-creation, his poem a whole sorrow, a whole beauty, both whale song and exile's song; and it is reclamation, a process of self-discovery and rediscovery for the colonized subject fighting against the erasures of history.